A great price on an non-rebuilt Cornelius keg. You can purchase the rebuild kit and replace the gaskets yourself (very easy job) to save some money. These Cornelius kegs could have residual soda syrup inside and will need to be cleaned. To totally rebuild the keg you should also consider a new relief valve and poppets (part number listed below). PBW works as a great cleaner for eating away sticky residual soda residue. Kegs are sold "as is". The body connnects on a keg are the metal posts where the quick disconnects attach too. They should be removed for cleaning and sanitizing before each use. 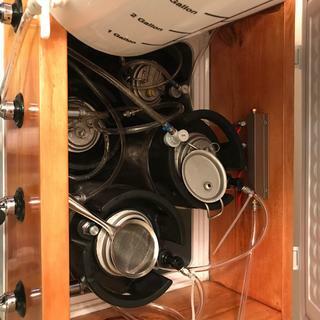 Kegs can come with either 11/16" body connects or 7/8" body connects. We sell deep sockets for the removal of either one. So if you do not have these sockets at home and want to make sure you can disassemble these Cornelius kegs you may want to purchase both sockets below. Then you will always be covered as your keg collection grows. 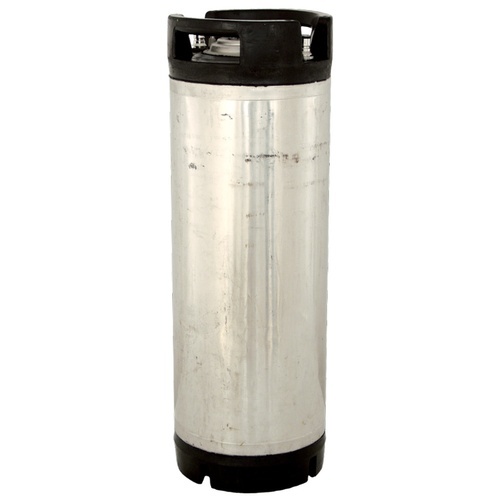 If you want a great deal on a 4 pack of kegs, check out our KEG430A. price + shipping , beleived tolerable quality. Good price, especially with the free shipping. Price was pretty good and I could use another keg! Need more kegs, local purchases too expensive. Great value. I already had o rings so rebuild was simple. Cleaned up like new. Would buy again when I expand production!! Super dirty and dented and would not hold pressure due to relief valve issues but replaced all o-rings and they are now ugly but useable. If you are in a pinch, for the price not a bad deal. Decent condition, great price. Fast shipping. Love morebeer! Aftera good soak and scrub with OxyClean, and a new o-ring kit, this keg is as good as a new one but at a much better price. Mine is now serving up a witbier at 33F. Keg had about half a gallon of soda in it. Seems to have prevented nasty syrup sludge from forming, so cleaning was pretty easy. For the price, you expect some problems. However, they're not THAT cheap. Mine came with a damage CO2 diptube. After the 7 dollars it cost to have that part shipped from another supplier, I would have been better off buying a nicer keg from elsewhere. Hi Mouhamed - Thank you for the review, we try to make it very known, these are sold as is. The used Cornelius Keg arrived as planned, it is in good shape, and it was easy to replace the O rings. It did seem strange that it was almost half full of Pepsi, it seems like it would save $ in shipping if they popped them open and emptied it out before shipping. All in all still a good deal for a good keg. I haven't actually used this one. But it came in excellent shape, no dents, clean inside and shipped pressurized. Can't beat the price. Thanks guys. I recently ordered two of these used kegs, both had minor cosmetic damage and while one of them was adequate to be used for beer after a thorough cleaning and replacing of O rings (though the lid seal is definitely questionable) the other one was very badly worn. The comments below refer to this worn keg. 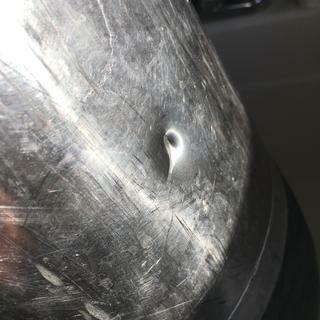 There is a significant amount of dents, one of which protruded about half an inch into the wall of the keg. The lid was very difficult to remove due to dried soda on the inside. 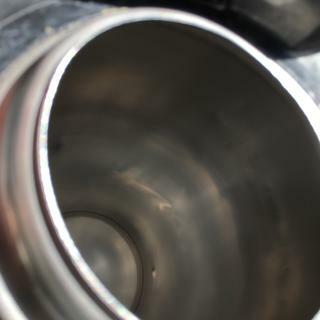 The gas keg post was exceptionally difficult to remove due to soda being dried on the inside. After spending 15+ minutes trying to pry it off manually I decided to stop stripping the grooves of the post and had to special order a part for my drill to remove it. Once it was off the post itself seems fine but the threads it screws onto are not coming clean regardless of how much Oxiclean or PBW I throw at it. I've yet to see how or if it will hold pressure. I understand that these are as-is purchases, but given the price I'd expect there to be a better value. 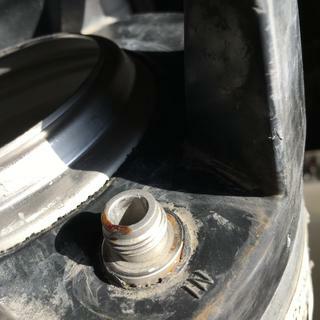 I'm not able to replace the threaded part for the keg post that seemingly has some permanent Dr. Pepper rust, so I'm at a loss for that. Seems like a gamble of a product, and to me, it's not necessarily worth it. Great keg, awesome customer service. Exactly what I needed. Had a slight issue with the keg but was taken care of very fast. Was my first time buying from them and will definitely have future purchases very impressed by the service of this company. Keg held pressure, replaced gaskets, poppets, and had to get out the 5/16th drill bit to replace the plastic O2 dip tube with a stainless. Good to go! Great keg at a great price. Just as advertised. It was used for Cherry Pepsi for sure. With a good oxy soak (also flipped upside-down) it cleaned right up. I had an extra gasket for the lid as the smell wouldn't come out. All in all, great keg. Some heavy scrubbing and new seals. It was holding pressure when it arrived; that was a good sign. Came quick in a form fitting box. Had some dents and dings but the inside was clean and looks like it was recently used for Pepsi. Cleaned easy then replaced all gaskets. One of the post was dented bad and was replaced to not take any chances. Was worried the aftermarket post wouldn't work because of some leaks after the change but lube took care of that. I think I'll just buy new next time but this was a functioning used keg.